Cats are peculiar and unique creatures. Their personalities are as diverse as the color combinations of their coats. It’s been said that pets take on the behaviors of their owners or that people subconsciously take in pets that resemble their personal features or personality. I believe both of these observations to be true in some way. So I started thinking and it came to me that a few of the typical house cat behaviors reminded me very much of my single guy friends. Naps, Naps And More Naps: The single man has the ability and opportunity to take random cat naps as he pleases. Much like the life of the carefree house cat. A Quick Wipe Down Is A Bath: Bath? I don’t need no stinking bath! Let me just wet this down and wipe myself off. Alright! I’m good to go! Who wants a hug? Always On A Different Schedule: Again like the single man, the frivolous house cat always seems to be catching some Z’s while you are present. As soon as you hit the sack for some much needed rest they get active and noisy. Ahhh, apartment life. They Never Clean The Bathroom: They have trouble containing the mess and are always expecting someone else to clean it. 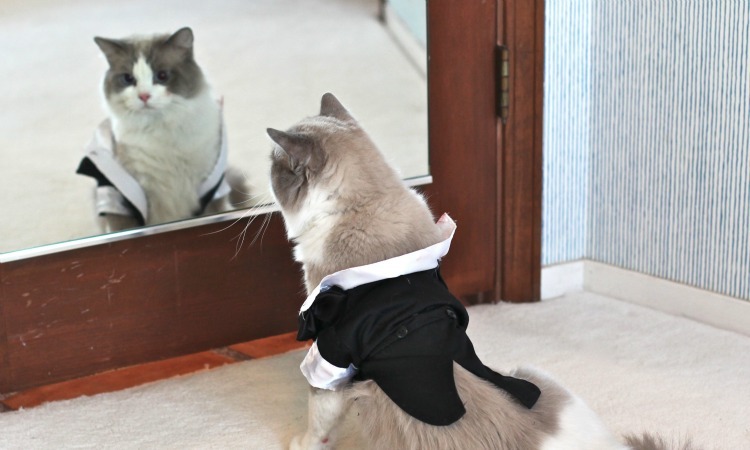 Always On The Lookout For the Next Night Out: Even the spoiled precious house cat is always on the lookout for the next opportunity to step out for the night and mingle on the neighborhood social scene. They always come back home though, happy and tired. Messy Eaters: Is it just me or do they seem like they are leaving more food on the counter and floor than they are actually eating. Of course not all cats and single men have these traits though. Purina Pro Plan wants to break the views of traditional catfood and the typical cat owner with the Purina Pro Plan #MenAndCatsContest. To promote their launch of their new Savory Shredded Blend, a new feline dining experience with crunchy kibble and savory shredded meat, they asked cat lovers to post a picture of an extraordinary man and his cat on Instagram or Twitter. 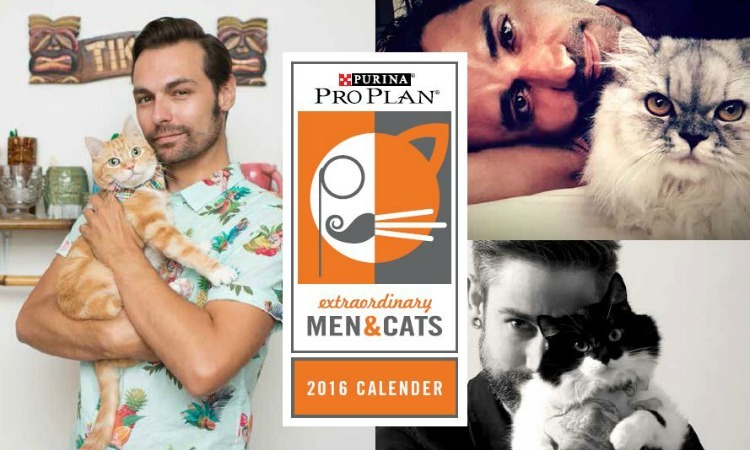 11 winners were selected to represent the relationships between cat and man on the 2016 Extraordinary Men and Cats Calendar along with proud cat guy and “Devious Maids” actor Gilles Marini. The calendars will support a fundraising initiative by Purina Pro Plan Rally To The Rescue to help small rescue organizations across the nation raise money to care for and find homes for the cats they love so much. Enter the giveaway below to get one for yourself. 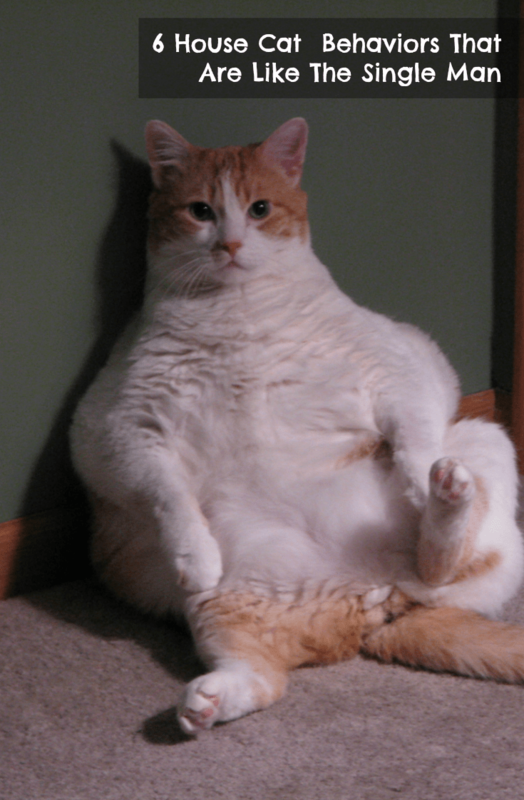 What other comparisons can you make to the behaviors of the wiley house cat? Great list! Another way they are similar is that they don’t like to dress up. My kitties love Purina! Who can resist a nice looking guy and a kitty? Since I’ve had cats for years and now an almost 20 year old son living with me, I can definitely see the similarities. The messy eating and never cleaning the bathroom! Love this men and cats calendar! Don’t forget the grunting and snoring. My old man cat Tater grunts and snores in his sleep it is pretty adorable though. My mom’s cat loves the new Savory Shredded Blend. Thanks for the fun post. LOL That was a pretty funny and true list….especially about cleaning up the bathroom. This looks like an awesome calendar. This is a very interesting and cute calendar. I love the list of Bachelor House Cat Behaviors. i like a man who likes a cat, my husband loves our cats. I certainly can appreciate that the 6 can apply to both. I have two cats and I’d enjoy this very much. This would make a great present for my friend who has 2 cats. I have three cats, all with very different personalities. One of my girls is very clean and has very particular habits. The others are a bit more like this post! That list is right on! Very funny and very true. So cute we have 4 cats so my daughter would love this to hang up in her room.